Fawn Over Baby: B. 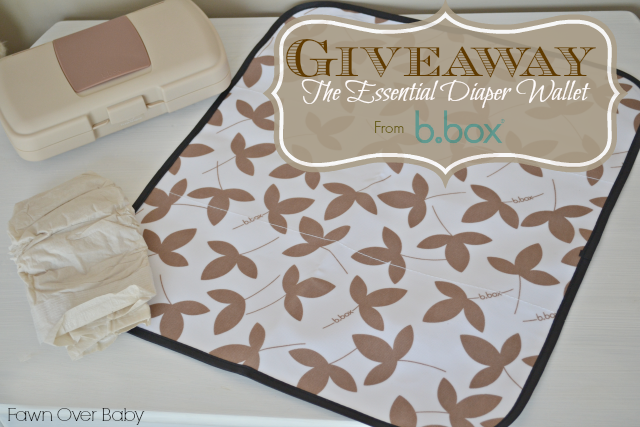 Box Essential Diaper Wallet Review & Giveaway! Good Morning Monday! For so long, I've always thought of that song "Just Another Manic Monday" by The Bangles when Monday came around. Now that I'm a stay at home mom, I still whistle that same tune just in a much different light. No, I'm not having to jump up at the crack of dawn to get ready for work then sit in morning rush hour traffic just to get to work and have a long list of to-dos given to me by my boss. Now, I'm my own boss giving myself a long list of to-dos to help make our week at home run smoothly. From meal planning to house upkeep to entertaining and taking care of our little one, every day is filled with "to-dos". So my Mondays now are just as "manic" as they were when I was out in the wonderful working world. Occasionally, as a treat, my little and I will leave the house to run a few errands. Those days are so nice, just to get out and enjoy a new scenery. However, some of those day can turn ugly fast when my little one wants to run wild in the stores. Anytime we do leave the house though, I always have our diaper bag in tow. I used to keep it so organized when McKenzie was first born. Now that she's a toddler, I'm lucky to have one diaper floating around in there. If you're anything like me and have constant "mommy-brain" when your on-the-go with baby in tow, I have a wonderful product to share with you today that will help keep you organized and your brain freed up to focus on your current mission at hand. 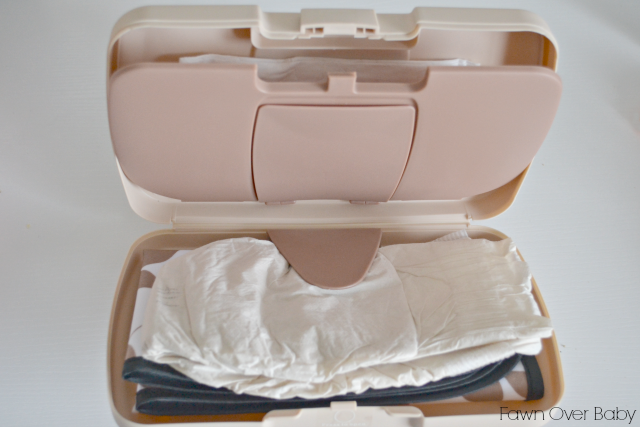 This so-called Time/Room/Sanity Saver that I'm speaking of is The Essential Diaper Wallet from super chic baby brand B.box. 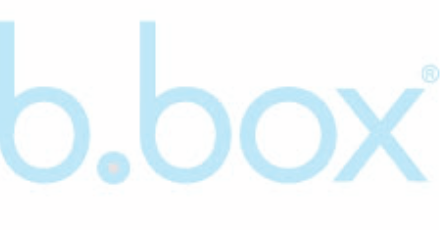 B.box is an amazing, award winning, baby essentials brand created by two talented mommies from Australia. Founders, Danielle and Monique are passionate about creating products that are innovative, uniquely designed and most important "practical". The Essential Diaper Wallet is just one of the many exceptional products that make up the b.box collection. 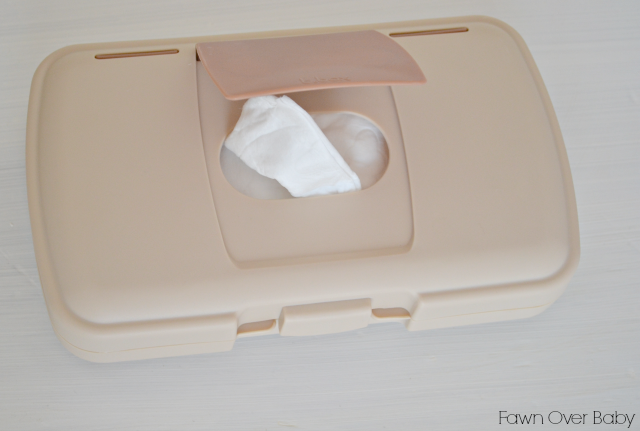 I have heard and seen a lot of "diaper wallets" out there, however, none of them have compared to this "diaper changing station" in-a-box! The Award Winning The Essential Diaper Wallet comes in a variety of colors and designs. To stay in the neutral family (just in case we are blessed with a boy "Hesseling" in the future), I chose to receive the "Falling Leaves" design. Just a little side-note. This little gem is delivered to you in the most exciting packaging ever! This clear bag with snap enclosure are PERFECT to store an extra pair of your baby's clothing or a wet swimsuit after a day at the pool. I mean, the possibilities are endless! I feel like I get a two for one when anything I buy is packaged in these handy hold-alls! Sorry, I digress - back to the wonderful "Nappy Wallet". This durable storage box that contains all of your diaper changing must-haves is BPA, Phthalates & PVC Free. I love that it is made out of this hard casing, as my little sometimes likes to rummage through her diaper bag looking for anything she can get her hands on. The first thing she goes for is the pretty plastic wipe case that I previously carried her wipes in and boy does it take a beating. Now that it is replaced with my new diaper wallet, it's only a matter of time before this becomes a bang -up toy as well. With this wonderful baby box, you have a place to store plenty of wipes to get your baby through a few days worth of errand runs. 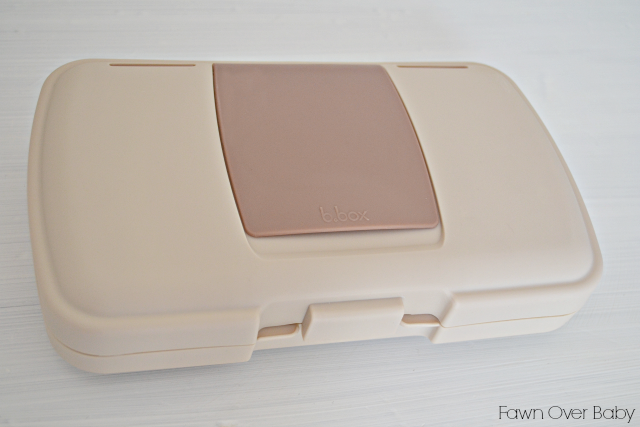 One of the dual access wipe hatches is conveniently located at the top for quick and easy access. I sometimes use wipes for cleaning dirty hands, wiping a table top off at restaurants in addition to diaper changing. So I'm a big fan that you don't have to open the entire box to get to these baby friendly cleaners. Inside the box, you will find your second wipes hatch for re-filling your wipes and a little bit of room to even carry a disposable bag to wrap those pesky dirty diapers before throwing in the trash. The bottom portion allows ample room to store one or two diapers and an adorable coordinating changing mat all contained with a well-planned flexible arm to keep everything in place, yet easy to access. The changing mat is not only adorably coordinated with your baby box, it is also soft allowing for baby to be comfortable during a change and it is easy to wipe clean when you're on the go! Everything you need for a quick diaper change is at your finger tips! 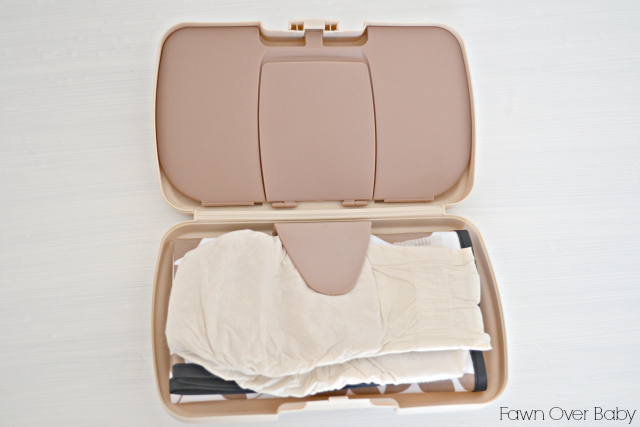 I would definitely consider The Essential Diaper Wallet a "Must Have" on all baby essentials lists and would recommend this product to every mommy and daddy I know! TWO THUMBS UP! Now On To Even More Fun Stuff! 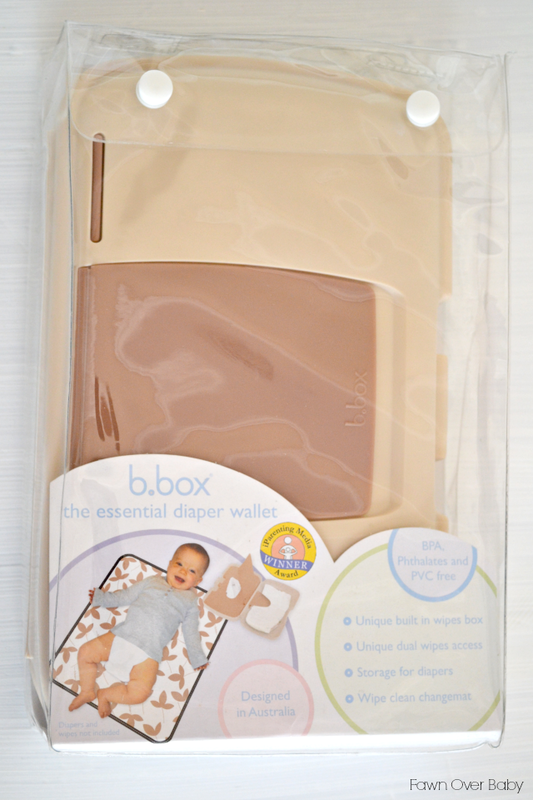 To help kick start your baby essentials organization, B.box is offering One Lucky Fawn Over Baby Reader a FABULOUS B.box - Essential Diaper Wallet In Their preferred Color and Design For Free!! To Enter, be sure to visit all the giveaway details outlined below and feel free to share with family and friends! The First Two Entries Are Mandatory - So You Must Follow B.box on Facebook and leave a comment on this post before moving on. To Keep It Fair, All entries will be verified. Winner will be chosen Friday, February 28th! HAVE FUN LOVELIES & GOOD LUCK! 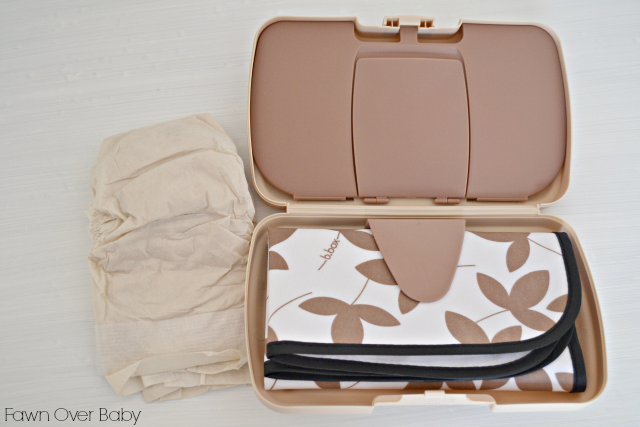 I LOVE THE DIAPER WALLET, I hate carrying a giant diaper bag around or trying to shove diapers and wipes in my purse! This is great! The falling leaves are my favorite <3 I'm a neutralist for sure. Everything we have is neutral, but the design on this one makes it so much fun and pretty. <3 seriously. I need this in my life. so bad. I love this design. It would make a perfect gift for daddy at a baby shower too. The falling leaves design is my favourite. Falling leaves and beep beep are my favorite designs. This is such a fabulous product, thanks for the opportunity to win! The shining star design is cute! This would be a perfect addition to my diaper bag !